A couple of weeks ago I bought an orange t-shirt. The orange had a lot of yellow in it but when I tried it on in the fitting room it seemed to work well with my complexion . So I bought it. A few days later I put it on and joined my husband outside. He looked at me and said, “I thought you never wore yellow. 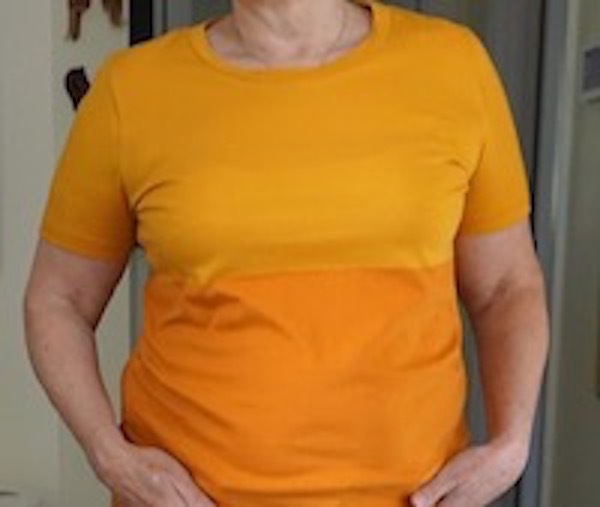 ” I looked down and sure enough my orange t-shirt was now bright yellow. Darn I thought, I let the light fool me. Light can fool most of us when we choose a colour. Light is something we must always consider when we choose colour. Thankfully walls are a little easier than clothing because we can observe how a colour works in a space by simply putting a large sample of the paint color on the wall and watching how the light affects it as the day progresses. The room never goes anywhere so we can see how the light will affect the room colour. Obviously not so with clothing. 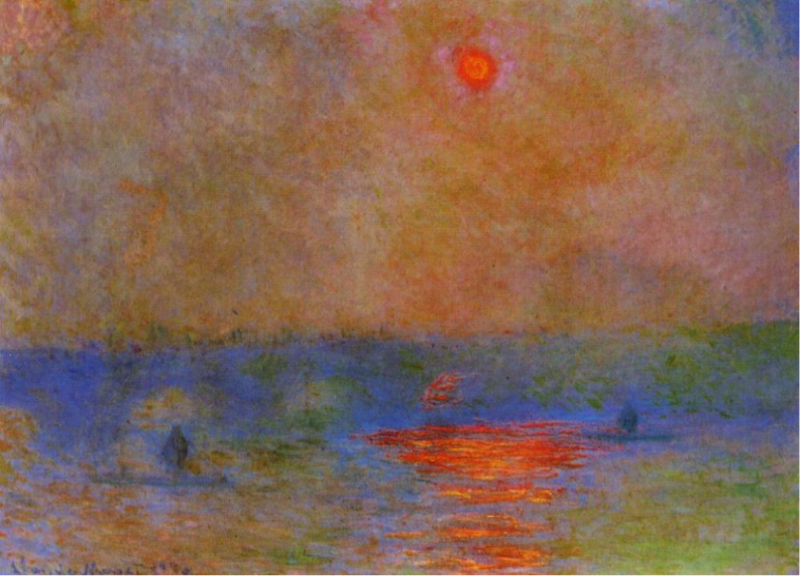 Monet was all about light and its affect on colour. His beautiful paintings of the outdoors and nature gave birth to impressionism and the Plein Air movement. His brain could see how light changed colour all through the day, and call it a handicap or a gift, he, in fact, said that light changed the colour of everything every 20 minutes. Now the majority of humans are not like that. Our brains constantly adjust what we see to give us Colour Constancy. If we note that a classic white picket fence is ….. white …. then that is all we see throughout the day ….. a white fence. 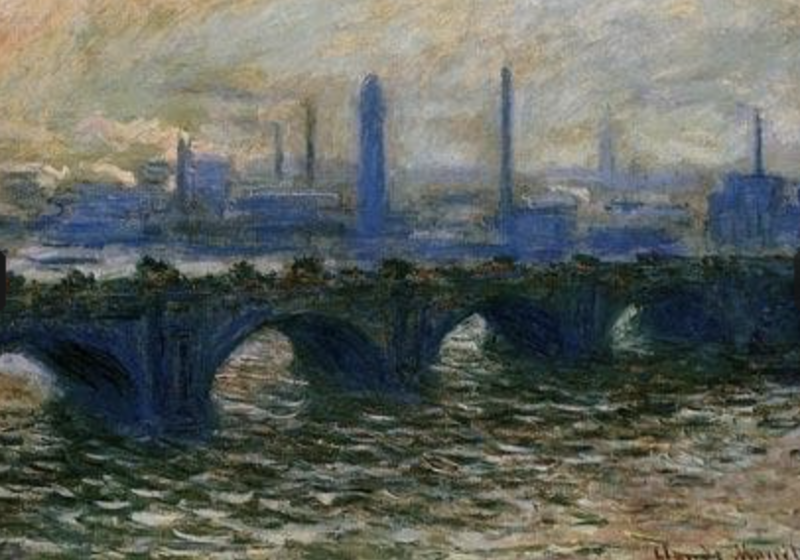 Monet would have told you that picket fence was at times different greys, possibly mauve, blue, dark green grey, to him that fence would be constantly changing. How light changes colour is called Metamerism. It is a little more complicated but that is a blog for another day. My favourite storey of Monet is his time spent living in the Savoy Hotel, in London, from 1899 to 1901. He painted the above painting of the Waterloo Bridge and the surrounding views from his chosen perch, which was said to be a balcony on the 5th floor. (Apparently you can now rent that room at the Savoy for about $3,500 US per night, champagne included) It is reported that everyday he would eat two English breakfasts and then spend the rest of the day on that balcony painting the view, rain or shine. Every 20 minutes or so he would change canvases. His room was full of partially painted canvases some say over a hundred of them and houskeeping constantly complained that it was impossible to get into his room to clean. And Monet preferred they didn’t. He had a specific order and he would get quite abusive if anyone moved anything or upset his system. Here is the same bridge later in the day. A few months ago I got a lecture from a painter who wanted me to know that he could colour match any paint chip. He had his favourite paint company and that was the paint he used. PERIOD! I would NEVER hire him. And this is why. A few years ago a real estate agent called me and asked me to choose an exterior colour for a house that was to go on the market. This house needed curb appeal. It had a green roof and the exterior colour had a bit of red in it which made the green roof stand out more and the exterior paint look more pink than it was. So after several hours of paint sampling and observing we chose a great colour and handed the chips over to the painter. A few days later I got a call from an irate agent saying the colour looked awful. I came over immediately, with my paint deck and we all soon realized that the colour was not the same as the chip I had given to the painter. It had been colour matched by a different paint company and a very unhappy painter had to repaint the house. I simply thought that the paint company had done a bad job of colour matching the paint chip. It was only a few years later at a Benjamin Moore colour education event that I learned why you should never colour match a paint chip. They gave three reasons. 1.Most companies get their pigments and paint base from one company but others don’t. Benjamin Moore uses their own pigments and base as does, Farrow and Ball, Kaufman Paints, C2, and I am sure there are more. So when you take another paint company’s paint chip and try to match the colour you may not get exactly the same colour. 2. 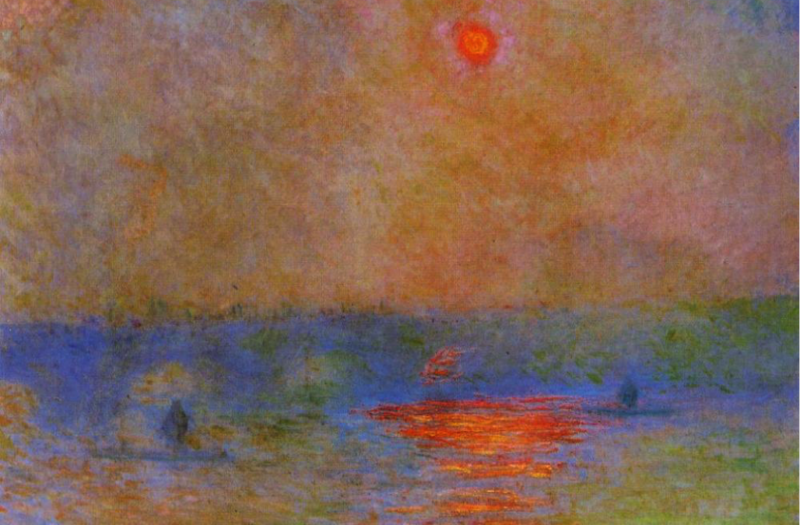 Light, think Monet here. When you mix a paint in the paint store what you are seeing is the colour under the paint store’s light. And who knows what particular light source that paint store is using but I guarantee you it will change how the colour looks. This is one of the samples Benjamin Moore showed to illustrate why not to colour match. 3. 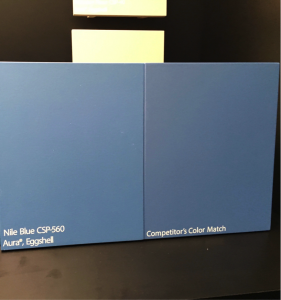 If you have tested a Sherwin Williams or a Beauti-tone paint sample in your home, then you know how that paint color will behave inside your house with your changing light. You tested specific pigments. You did not test the painter’s paint company’s paint and so you cannot know how that company’s colour match will behave in the light in your home. Trust me, the clients were very unhappy to have to go through a house painting twice and the painter lost money. I am not advocating for any one paint company here, this is not what this is about. I use several different brands because I am always looking for the right colour and there is no one paint company that has every single colour that I need. But, I will not use a painter who colour matches. I want him to use the paint company who owns the paint chip I gave him and you should too. 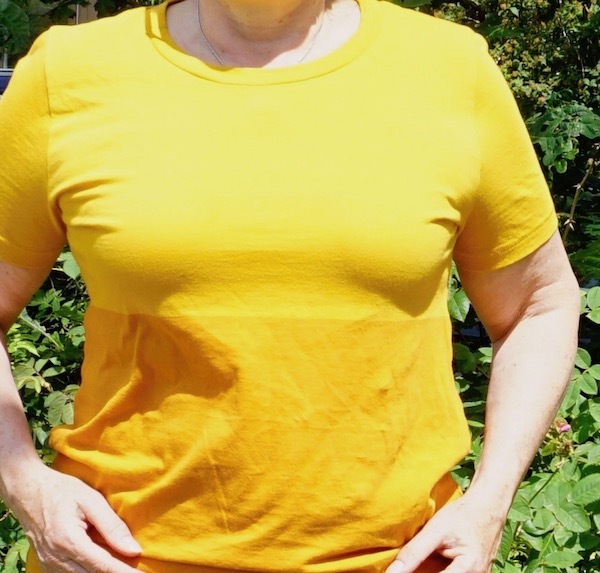 Oh and next time I buy an article of clothing like that t-shirt I will take it outside and make sure it doesn’t change into a colour I would never wear!